Perhaps one of the greatest challenges facing the first 401(k) generation is upon us. 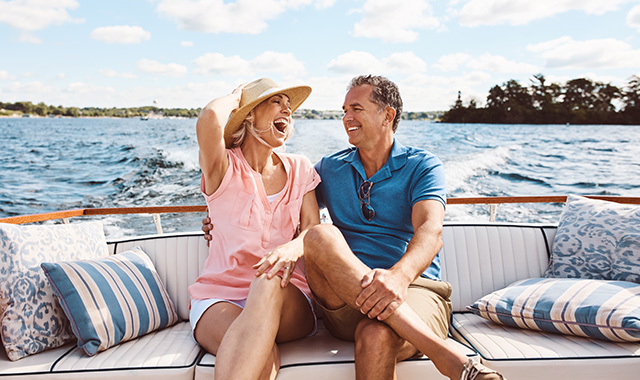 For three decades now, Americans have been accumulating deferred dollars into 401(k) plans, IRAs and other defined contribution instruments, as encouraged by the U.S. tax code. What may create pause for concern is who, and/or what, is available now to guide this generation through retirement. Significant to the situation is that guaranteed pension plans have largely disappeared and the old-fashioned annuity payout that historical plan documents contained are largely gone from the landscape. A critical question becomes, “How do I generate income from my investments and, of course, not run out of money in retirement?” Besides increasingly complex global markets, a hidden factor complicates this even further: we are at the end of a 30-year declining interest rate environment and have entered a new rising interest rate environment. It’s important to evaluate where to start and what approach to apply. I suggest starting with understanding your income needs. Foundationally, what income is needed to support essential lifestyle expenses? A smart idea is to look to an income protection plan for this element of your retirement income needs. Insured or guaranteed income contracts have historically always played a key role in the solution. Yet, modern media, fueled by fund management companies, have downplayed this part of the solution. Do not ignore the value of insured annuity income, guaranteed by an insurer. Being “Retirement Income Savvy” often means improving your income security. The proper Social Security claiming strategy should also be part of this assessment to cover essential income needs. Collecting Social Security at F.R.A., or Full Retirement Age, may or may not be the best approach. Discretionary lifestyle expenses are the next place to look. Establish a number that reflects your anticipated annual expenses. Associated with this, and all investments, is to carefully consider what types of investments fit your personal risk profile. Depending on the individual, some essential lifestyle expenses may also be covered with a customized, risk-based investment portfolio. One size-fits-all, or rules of thumb are dangerous approaches. A personal financial legacy element is another consideration. This factor can be addressed to provide dollars to loved ones after one has passed on. A great number of people never address this in their planning. To determine your preparedness, access a CERTIFIED FINANCIAL PLANNER™ practitioner and/or Certified Retirement Counselor. Going it alone is tempting, but the dangers are significant. I do not suggest going it alone any more than being your own medical surgeon. Find an advisor, rather than a traditional broker. Find a professional who will represent your best interests. Do not be afraid to ask this of anyone you consider working with or turning to. These days, more than ever, the value of a true independent professional goes a long way in successfully turning your assets into sustainable retirement income. David M. Cyrs, M.S., AIF, CRC, is a Certified Financial Planner at Cyrs Wealth Advisors, 1111 S. Alpine Road, Rockford. This entry was posted on Tuesday, October 23rd, 2018 at 12:00 pm	and is filed under Personal & Financial Strategies, Top Posts. You can follow any responses to this entry through the RSS 2.0 feed. Both comments and pings are currently closed.